It is with deep regret that I must announce the cancellation of the New Energy World Symposium scheduled to have taken place in June in Stockholm. As initially communicated, the Symposium was conditioned by the report from the one-year 1MW test undertaken by Rossi and Industrial Heat, IH. However, with the ongoing lawsuit by Rossi on IH, the report is not expected to be released anytime soon, and therefore the Symposium can not be held as initially planned. Let me also point out that until there is such an independent report, based on generally satisfactory measurements, I would not consider the E-Cat, on which the 1MW test was based, a confirmed LENR technology. In this situation, I have discussed holding a repurposed event based on the increased and most interesting activity in the LENR field in general, but I have found that I will not be able to organise this in time. On the other hand, I hope to be able to propose a new event on LENR based technologies further ahead and will keep you updated. I would like to thank the highly qualified speakers who were planned to participate at the Symposium, for their enthusiasm and for their willingness to contribute with their valuable experience and competence. Over 270 attendees decided to pre-register for the event, which I believe is an indication of the value that the speakers’ mix of ideas, models and thoughts would have offered. A great thanks also the the Symposium’s partners, Kairos Future, E-Cat World, Network Society and Lenria. Any inconvenience to attendees of the Symposium is deeply regretted. Some people thought that I was too biased towards Rossi in the hypothesis on the Rossi-IH affair that I presented recently. So, for equilibrium, here’s more or less the opposite hypothesis, based on claims that have reached me from other sources. – The starting point for this scenario is that either Rossi has achieved LENR reactions with high COP, without ever proving it, or he might have achieved modest efficiency, with COP between 1 and 3, as many others in the field. Over time, in that case, he tended to exaggerate the results, being absolutely convinced that he would obtain increased COP, sooner or later, with changes in the design. Meanwhile he hid the lack of progress with lack of precision in various tests. – In October 2012, Rossi and IH (Industrial Heat LLC) entered a license agreement, on which Rossi was paid $1.5M. The reason for IH to enter the agreement was, a part from the increased credible activity in the LENR field, that several seemingly convincing independent tests had verified the validity of the E-Cat technology, and that it was worth risking the money for getting access to a potentially disruptive energy technology that could change the world and save it from the climate and pollution crisis. – The 24h Validation Test in May 2013 was apparently successful, and again the amount of $10M was worth risking, giving the potential upside, especially since IH with this sum would get access to the IP and the knowhow of the E-Cat, which Rossi transferred to them as stipulated by the license agreement. Rossi, however, at this occasion maybe kept some essential details for obtaining high COP for himself. – With the IP in hand, with claims that IH had acquired the IP, and with seemingly successful demonstrations made with Rossi’s assistance, IH could raise funding, e.g. about $50M from UK based Woodford, in addition to about $10M already raised from other investors. – After a while, however, IH realised that it didn’t manage to obtain Rossi’s effect with the instructions received from him, when performing tests with the help of independent experts (maybe e.g. the team at Brillouin Energy, in which IH also invested). And over time IH concluded that either Rossi didn’t have what he claimed, or he hadn’t given them the complete knowhow. IH was therefore not interested in going ahead with the one-year test stipulated by the license agreement, at least not before having been able to replicate with high COP. – Rossi still wanted to perform the one-year test, and found a way to set it up. A UK based company, or possibly just some people Rossi knew, formed a local company in Florida, appointing Rossi’s lawyer as president. IH was presented with this plan, and since IH now had low confidence in Rossi, it didn’t care much about what Rossi would do and accepted any suggestion. They also accepted, or didn’t object to, the same ERV as in the 24h Validation Test, although they were not convinced he was the right choice for this task. IH maybe didn’t think that Rossi would obtain any result. Alternatively, IH considered the condition of transferring the knowhow not fulfilled, and therefore they would not have to pay the remaining $89M, even if the one-year test would be successful. Meanwhile, IH used the raised funds for other investments in the LENR field, and kept a low profile on the possibly failed investment in Rossi’s technology. – The customer company using the energy from the plant (‘JM Chemical Products Inc’ according to the license agreement) should produce products for catalytic applications, but IH soon found out that there was no production activity (maybe the heat from the plant was just absorbed in a dummy load and vented out). IH didn’t want to make too much noise of this finding, and since they argued that the agreement’s conditions weren’t fulfilled, they didn’t act on this fact. Yet they had two representatives always present at the heat plant. – IH also found flaws in the ERV’s measurements. Again, IH didn’t act on this. – Meanwhile, IH filed a few patent applications on Rossi’s technology, taking advantage of a change in the US patent law, making it possible under certain conditions to file an application without the inventor signing it. Maybe the filings were simply part of normal business activities in the technology field. – As the one-year test went on, IH realised that Rossi was convinced of a positive result, and it used the PR and crisis management firm APCO Worldwide to get help on handling a potentially delicate situation. IH also started to reach out to experts in the field, asking for help to understand what secret Rossi might have kept for himself, or alternatively to get information that could help proving that Rossi had nothing. IH also reached out to Rossi who declined to give any further help. – Meanwhile, Rossi, started to gather information on a lawsuit to be able to defend himself, since he was convinced of a positive result but understood that IH didn’t agree with him. – The test was completed in February 2016. The ERV compiled a report, which was not very convincing, and delivered it to Rossi and IH. Rossi filed his lawsuit to defend himself. IH kept a low profile, still considering the license agreement to be open but arguing that it didn’t have to pay, at least not until Rossi hadn’t provided all the knowhow needed for a successful high COP replication. I must underline that I have not been able to confirm much of this information, except for a few well-known facts, known from the documents in Rossi’s lawsuit. Neither have I yet seen the ERV report, which could give important perspectives on this scenario. The latest info I have on the report is that it will be released only when the IH-Rossi case will be brought up in court, maybe a month or more from now, which I think is an unfortunate delay. I have tried to reach Tom Darden and JT Vaughn at IH several times to get comments, but I haven’t got any response. Rossi strongly denies parts of this scenario, particularly the claim that there wasn’t any activity in the factory and that the ERV’s measurements were non-satisfactory. Hopefully, we will know what is true when the case will be handled in court. Summing up my own experiences of the E-Cat technology, I have seen several flaws in the reports on the high temperature ‘Hot Cat’, while I had more confidence in the results from the older E-Cat, on which I made measurements myself at four occasions. The most convincing demonstration, in my opinion, was held on October 6, 2011, when the E-Cat was run in self-sustained mode for almost four hours, with water boiling inside all the time, even though fresh water was input continuously. Here’s my report from the test. And here is the temperature data. Finally, let me make clear that my fundamental aim in this story is to bring out the truth, whatever it may be. I’m also confident that whatever the outcome will be, the LENR field has gained something in the end, if only by a significantly increased interest over the last years. And I will keep fighting for the importance of increasing the efforts on making LENR a commercially viable technology. (Read also the opposite hypothesis here). – With the license agreement signed, IH had the possibility to get access to the whole IP for a world changing technology, paying ‘only’ $11.5M after the 24h Validation Test in May 2013 (as specified in the License Agreement). And they did. – IH then never intended to perform the stipulated one-year test (Rossi claims that they continuously tried to delay it), but instead wanted to get rid of Rossi and progress with R&D, based on the IP they hade received. By not undertaking the one-year test they would save $89M (which according to the License Agreement should be paid after a successful ‘Guaranteed Performance Test’). – With the IP in hand, and with successful demonstrations, IH could raise funding which could be used for investing in other companies in the field, e.g. Brillouin Energy (UPDATE: As far as I have understood, IH has not invested in Brillouin Energy. It has been reported that Darden invested personally in Brillouin, but before putting up IH)—companies having experts that could help them working with the technology, since they didn’t posses the skill or competence themselves to use the info obtained from Rossi. They also approached individual experts in the field, asking them to work with IH. – However, like everyone else in this story, IH underestimated Rossi—thinking that he was just another of those confused and not-so-business-and-competition-prepared inventors out there, when he was instead extremely focused, persistent (being an former long distance runner), competitive, intelligent, intuitive, far-aiming and hardened by tough experiences in a fairly corrupt power game country like Italy; Rossi managed to find a location and a customer for the one-year test, and also completed the test (which IH maybe didn’t expect), furthermore with exceptionally good results—a COP (Coefficient of Performance) above 50, far beyond the requirement in the License Agreement for full payment, a COP>6. – Rossi saw this coming, observing IH’s actions, including investing in other companies, filing competing patent applications with false inventors and with copied material from Bologna University’s HotCat report without permission, and probably a series of other observations, and he started to prepare the lawsuit. 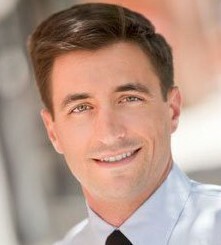 – Having already gone through a similar process with the Greek company Defkalion, which systematically delayed payments, Rossi this time decided to be ready to sue immediately the day after the payment of $89M was due (five days after receiving the ERV report, as specified in the License Agreement). – Probably, at this point, Rossi also saw the possibility to get out of a license agreement which was far to advantageous for IH, given the achieved COP of 50, and given that the agreement gave IH full sales and manufacturing rights in markets covering over 50 percent of the world’s GDP, as Torkel Nyberg notes. Thus he could regain control of manufacturing rights in the whole world, with sales rights still being licensed in some markets. – Again, IH underestimated Rossi. They realised that the completion of the one-year test would become a problem and issued a statement, with support of the PR and crisis management firm APCO Worldwide, in order to discredit any information not coming from themselves. But they were probably not prepared for the immediate and extensive lawsuit submitted by Rossi and Leonardo Corp. IH’s situation now became delicate. – The lawsuit will probably go on for years, but it’s interesting to note how Rossi has systematically used his blog and the Internet to spread public knowledge on his activities, challenges and progress. In my book he described how he was destroyed by Italian media during the Petroldragon affair, since media then had unchallenged power over individuals, and that this is no longer true with Internet giving everyone the possibility to reach out to the world. Therefore it’s also logic for Rossi to demand for a jury to settle the case. – The lawsuit could possibly over time develop into a parallel to the Honeywell, Inc. v. Sperry Rand Corp. case regarding the invention of the electronic computer—a case that went on from 1967 until 1973, which some people argue was in order to keep third parties out of the computer business, with lawyers on both sides dragging out the lawsuit as long as possible. So this is my hypothesis. I might be wrong. Maybe IH simply underestimated the difficulties to raise the necessary funding. What they raised (reportedly about $60M, excluded Chinese funds for a collaborative project in China), was enough for investing in a few other LENR technology companies and for buying some patents, but not for paying Rossi the remaining $89M. So IH found itself in a difficult situation and didn’t find a good way out (but they could at least have tried to negotiate?). Some suggest IH was forced by the US government, in order to keep the technology in the US, free from a foreign inventor, but realistically in that case, I believe the government would gladly have paid $89M to keep things quite and clean. We’ll find out one day, maybe. (UPDATE April 10): As I wrote in a comment here below, thanks everyone for interesting and thought worthy comments so far. My hypothesis might not be the best, or not even close, and it’s the discussion that brings out a wider perspective. One of the possible interpretations that have been brought up, that I also believe could be right, is that IH is correct in its statement that it has not been able to ‘substantiate’ the results claimed Rossi, meaning that they have received the technology instructions for doing it, but have not been able to make a satisfactory replication with other people’s help, at some level of efficiency (COP) that they consider Rossi has achieved. And since it’s stated in the license agreement that Rossi has to make sure that IH can successfully use the instructions transferred after the 24h Validation Test in May 2013, this would be a motive for not paying. Yet, in that situation, IH would still keep the agreement open, since they see the possibility that they could succeed to replicate with high COP, and in that case pay the $89M and go ahead with Rossi. This would also explain why IH has approached experts in the field, to collaborate with them. One crucial question might of course be how many attempts they have made so far, and with what skill and expertise. (Also UPDATED with response from Andrea Rossi). (June 2: IH filed motion to dismiss lawsuit—link below). First of all—we now know that the one-year 1MW test was very successful and that the E-Cat and LENR is a technology field that will fundamentally change the world. [Admittedly premature. We haven’t seen the report yet]. More about this later. In any case, let’s wait for the detailed report for final confirmation. Champagne is still on ice. On Wednesday, April 6, I received a press release from the lawyer representing Rossi’s company, Leonardo Corp., about a lawsuit on Rossi’s US licensee Industrial Heat (IH), its representatives Thomas Darden and JT Vaughn, and Darden’s main company, Cherokee Investment Partners. Link to the case docket is here. I was first somewhat surprised, but reading the documents and adding info that I have received during the last months, things became clearer. I recommend you to read the complaint and the license agreement between Rossi and IH (see below)—it tells a detailed story of what has been going on during the last years, and one good thing about the lawsuit is that all this info, originally protected by NDA, is now open. Rossi and IH entered an agreement in October 2012 (as I also report in An Impossible Invention), on which Rossi was paid $1.5M. A 24h Validation Test was performed in May 2013 with a plant consisting of 30 E-Cats. After successful completion Rossi was paid $10M, and he transferred all the necessary IP for the E-Cat and its fuel to IH. Now things are getting interesting. The license agreement defined that IH acquired a license for North and South America, China, Russia, Saudi Arabia and the Emirates, to sell and manufacture E-Cat based products, but the IP remained property of Leonardo Corp. Yet IH stated that it had acquired the technology from Rossi, apparently in order to raise more money (we know that at least $60M was raised, of which about $50M from UK based Woodford). IH then delayed the one-year test—the ‘Guaranteed Performance Test’. If successful, with at least six times more energy output than input (COP>6), IH should pay Rossi $89M (or less at lower performance). And although the test was finally undertaken, and successfully concluded recently—producing over 50 times more output energy than input energy (! ), validated by two experts, paid for and chosen by IH and Rossi—IH never paid Rossi (we will probably soon see the full report that was delivered to Rossi and Darden on March 29). Instead, it turns out from Leonardo’s lawsuit that IH (Darden and Vaughn), made a series of maneuvers to avoid undertaking the one-year test, to avoid risking the billions in Cherokee’s fund, while trying to get hold of the E-Cat IP, sharing it with Rossi’s competitors in which IH was investing, and even filing patent applications based on the IP transferred from Rossi, nominating other inventors than Rossi. These claims are supported by independent information I have received lately (not from Rossi), on people connected to IH, actively trying to engage experts in the field to work on replication of Rossi’s effect, while telling various stories about Rossi, all indicating that IH might have been missing some essential info, or at least wanted to get this info before paying Rossi. Furthermore, in the lawsuit, Leonardo demands a trial by jury. Everything out in the light. This doesn’t fit well with the hypothesis that Rossi is a fraudster and that IH knew this and therefore tried to get away from him. Not a bit. But even if all the claims in the lawsuit are true, it’s not obvious that Darden and Vaughn had these intentions initially, as Torkel Nyberg points out on his blog Sifferkoll. IH might have been pressed by investors’ expectations, while not being sure of having all the technology details. IH can even have been approached by more powerful entities, seeing the E-Cat as a threat, or wanting to secure the technology for the US, without depending on Rossi. We don’t know this. And to settle the case might take years, unfortunately. In any case—the public statement from IH a few weeks ago now comes into another perspective, looking more like damage limitation, with support of the well-known PR agency APCO Worldwide. The good part is that all this info now is public, that the one-year 1MW was successful, and that commercially viable LENR is here to stay, and that it will change the world. As for the New Energy World Symposium, I’m very close to take the final decision to hold the event now. Link to the case docket. For further documents use the link above (“All documents…”). I’m still waiting to see the report, but if it confirms the data that Rossi has given—a COP over 50, validated by the ERV chosen by Rossi and IH together—and if it’s true that IH has had its staff present at the test all the time, even bringing representatives for UK based Woodford to the plant to make due diligence and then receiving $50M in funding, I would find it quite difficult to understand that IH has not been able to substantiate the results claimed by Rossi. Maybe IH has not been able to replicate the effect themselves. But in that case I guess that they should kindly ask Rossi for help. They made the Lugano reactor ( they also signed it ) they made many replications of which we have due record and witnesses, they made multiple patent applications ( without my authotization ) with their chief engineer as the co-inventor ( he invented nothing ) , with detailed description of the replications , they made replications with the attendance of Woodford, after which they got 50 or 60 millions of dollars from Woodfords’ investors, they made replications with the attendance of Chinese top level officers, after which they started thanks to the E-Cat they made an R&D activity in China in a 200 millions concern, they made replications with an E-Cat completely made by them under my direction the very day in which the 1 MW plant has been delivered in Raleigh, they made replications that we have recorded. After the replication they made with the attendance of Woodford in 2013 Mr Tom Darden said publicly: ” this replication has been stellar” ( witnesses available). But this is not the place to discuss this. We have prepared 18 volumes to explain exactly and in detail the activity of our “Licensee” and his acquaintances from 2013 to now. Until they had to collect money thanks to the E-Cat, they made replications and have been happy with the E-Cat; when it turned to have to pay, they discovered that they never made replications, that the ERV that they had chosen in agreement with us was not good, that the test on the 1 MW plant, thanks to which they collected enormous amounts of money from the investors and where I put at risk my health working 16-18 hours per day was not a good test ( but for all the year of the test they NEVER said a single word of complaint, even if they had constantly their men in the plant), etc etc. But the worse has still to come out. The worse is in the 18 volumes we will present in due time, in due place. A blog is not the right place to discuss a litigation. This is only a quick answer to the press release made by IH. They prepared everything, the charges, the body of the reactor EVERYTHING !!!. I just teached to them what to do. They never used anything pre-prepared by Leonardo Corp.
Now, let me talk to you of a very singular coincidence: Brillouin has always made only electrolytic apparatuses: go to read all their patent applications made before their agreement with IH, and you will find confirmation of what I am saying ( I know their patents by heart, because I have studied them and probably I know them better than themselves : I wrote about 100 pages of notes about their patents ). And now the singular coincidence: they make the agreement with IH in April 2015, and Voilà, they made a public demo in Capitol Hill ( Washington, DC) with a device that is the Copy-Cat of something I am familiar with. Nothing that Brillouin has ever made before the agreement with IH. What a coincidence !!! 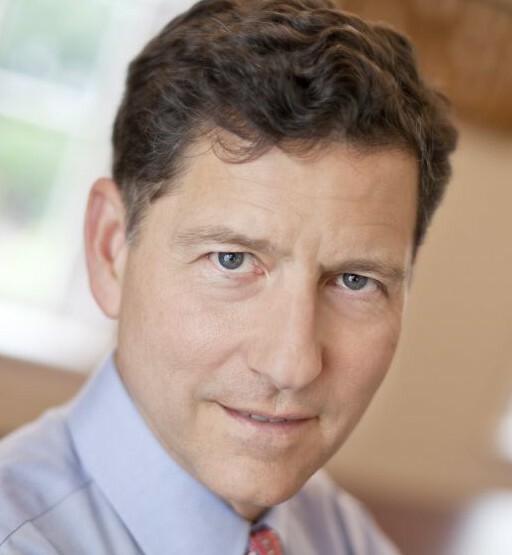 In the press release of IH they write that ” for three years they tried to replicate the Rossi effect, with no avail”: very good, but during those three years Industrial Heat collected about 60 million dollars from Woodford, more millions from other sources, exclusively based on my E-Cats technology. This before making shopping to buy other patents. Now, the cases are two: either they are lying when they say they didn’t replicate, or they made a fraud collecting 60 millions from Woodford, more from others, not to mention Cherokee fund. You had to see Tom Darden and JT Vaughn dance like ballet etoiles around the investors, showing them the E-Cats, and telling them that the E-Cats had been built by them! “Stellar” coherently Darden, in his role of etoile, repeated to the enchanted attandees, ready to spend 50 millions. Now, that my bill arrived, the E-Cat had not been replicated , they say. For three years. Again, I am just answering to a press release of IH. I just received this statement from Andrea Rossi’s US partner Industrial Heat, in an e-mail from its Vice President, JT Vaughn. Industrial Heat acquired the rights to produce and sell E-Cat based products in South and North America, Russia, China and a few other countries, in 2012. Update (March 10, 2016): I agree with Torkel Nyberg, arguing in his blogg Sifferkoll that this statement probably is aimed at building credibility and at defending IH and everyone involved with the one-year 1MW test, on which a third party report is expected within a few weeks, from expected attacks by people whose interests are threatened by a cheap, clean, carbon free, versatile and abundant energy source. And by people who have insisted on negating and obstructing every scientific claim regarding LENR or cold fusion in the last decades. At a certain extent, I also think that IH wants to underline that it has undertaken a one-year test, controlled 24/7 by a respected third party institute (‘ERV’—Expert Responsible for Validation), and that this sets it a part from other companies and groups in the LENR field, from a competition point of view. Industrial Heat’s objective is to make clean, safe and affordable energy available everywhere, and in doing this we want to build a company that demonstrates respect for all. LENR is a key focus of Industrial Heat and we believe multiple technologies in this sector warrant further investigation and development. Industrial Heat has licensed, acquired or invested in several LENR technologies from around the world. We have developed a group of LENR thought leaders, and we have built a world- class engineering team. We are pleased with the technologies we have assembled and with the group of scientists and engineers working on them. Presently, the Industrial Heat team is in the midst of assessing and prioritizing the technologies in our portfolio. Our operating philosophy is to foster scientific and engineering rigor in the development of LENR. We will thoroughly assess data derived from sound experiments which we design, control and monitor. Embracing failure as well as success is important, because we learn from both. Unfortunately, there is a long and continuing pattern of premature proclamations in the LENR sector. Because of this, we encourage open-minded skepticism. We believe society suffers when technological advances and innovative experimentation are stifled; likewise, society and the industry suffer when results are promoted and claims are made without rigorous verification and precise measurement. Update 3 (March 18, 2016): Also read this comment on APCO’s possible involvement: Something Really Bothers Me About the @ApcoWorldwide #LENR Connection! (‘Maybe IH got sort of an offer they can’t refuse…’). I need to underline that you should be careful with this kind of conspiracy theories. However, it’s interesting to note that there might be significant interests wanting to delay the introduction of commercially viable LENR based energy. I believe IH are holding back for several reasons. 1. They value the information advantage. Although this one is not new. Still, there is no product in the market yet. It is work in progress, and the less other entities know, the better for them. 2. They are negotiating continuation of the Ecat series with Rossi and rights to the technology. We dont know the fine print between “manufacturing” and “know how”. Rossi comments supports this thesis. 3. To keep Rossi in line. Releasing report would boost his credibility enormously, possibly leaving IH for Leonardo/Hydro Fusion to build a plant in southern Sweden, with his core innovation team and know how. That would move focus from IH as main LENR player to Leonardo who has the IP. Ie. not good for IH investors; they certainly would like IH to have more control over IP than they have. Rossi comments support this thesis also. As well as IH letter stating only they themselves are credible. 4. Maybe there is an issue with the ERV [Expert Responsible for Validation] entity. Especially if the COP is really good. The downside is huge and upside limited. Negotiations going on here as well? 5. They realize that regardless of ERV report there will be multitude of attacks also on IH stating fraud/scam. The better report the more attacks. It’s easy to invent scenarios of fraud, not having to prove them. Harder to prove one self innocent. This thesis is also supported by the IH letter. From these perspectives it is actually not difficult to see why IH is holding on to the report. Hopefully Rossi, who benefits the most from a release and is in the loop can put enough pressure on IH to release it anyway. The second generation E-Cat used in the Lugano test in 2014. After five years of debate on the much discussed energy device, the E-Cat, I have finally been shown a theoretical model that makes sense and which seems to be consistent with both laws of physics and experimental results, which I will present here. As I have said before—only with a valid theoretical model, effective R&D on LENR based devices can start in earnest. And judging from the over 200 patent applications Rossi says he is preparing, Rossi probably has this kind of understanding. Quite possibly, the model he is using is close to what you’ll find here below. This blog post will be fairly technical and a bit long, but for those wanting to get this understanding I think it’s worthwhile. Also note that it will be updated continuously with corrections of details that I might have misunderstood, or that need further elaboration. And before I start—a special thanks to Bob Greenyer, co-founder of MFMP, who shared recent insights with me, and also insisted that I carefully read the patents of long-time researcher on nickel-hydrogen based LENR, Francesco Piantelli, who used to collaborate with Rossi’s scientific advisor, late Prof. Sergio Focardi. Below you’ll find a series of videos that Greenyer is producing on this topic (I will add more of them as they are published), and just like Greenyer, I would like to highlight the importance of Piantelli’s and Focardi’s work. First, a short crash course in necessary physics (jump this piece if you feel familiar with basic nuclear physics). Reactions releasing energy are called exothermal, and the energy released always corresponds to a decrease in mass. This is determined by Einstein’s famous formula ‘energy equals mass times speed of light squared’ (E=mc²). And since speed of light is such a large number, very little mass is needed to obtain large amounts of energy. For chemical reactions (burning wood, oil, digesting food etc), this loss of mass is so small that it’s hardly detectable. For nuclear reactions (e.g. fission, like in nuclear power plants, or fusion, like in the sun and the stars) the loss of mass is more notable. It’s about a million times larger in the same amount of fuel as in chemical reactions, reflecting the fact that you get about a million times more energy from a certain amount of nuclear fuel as from the same amount of chemical fuels, such as e.g. oil. This also means that one gram of nuclear fuel corresponds to one or several tons of oil. Intuitively, this difference between chemical and nuclear reactions can be understood noting that chemical reactions involve the tiny electrons in the atom, while nuclear reactions involve the nucleus which has a mass thousands of times larger than the electron’s mass, and which is held together by forces much stronger than those needed to keep the electrons in their orbits. Energy from nuclear reactions can be obtained in mainly two ways—fusing small nuclei (fusion) or splitting large nuclei (fission)—both can be exothermal reactions. This works because nuclei happen to be most ‘relaxed’ when they have an intermediate dimension—specifically, the most relaxed of them all are the elements iron and nickel. Normally you say that such nuclei have larger binding energy per nucleon. You can understand this by thinking that they are at the bottom of an energy hole, while smaller and larger nuclei are higher up in the hole. And if you want to split nuclei of intermediate size to get smaller nuclei, or fuse them to obtain bigger nuclei, you need to add energy, pushing them up from the energy hole, since these smaller or larger nuclei require stronger forces to remain intact. In an analogue way, energy is released when small nuclei are fused, and when large nuclei are split, making them fall deeper down in energy hole. And since energy corresponds to mass, this can be measured as a loss of mass. Consequently, the isotope 56iron (26 protons, 30 neutrons), which is at the bottom of the energy hole, has the lowest mass per nucleon, which means that any reaction leading to 56iron implicates a loss of mass per nucleon which will be released as energy according to E=mc². Normally, the released energy in nuclear reactions is carried away as strong electromagnetic radiation, called high-energy gamma radiation, and as particles such as neutrons with high kinetic energy. In LENR—Low Energy Nuclear Reactions—however, almost no radiation is observed. Yet, the high energy release per amount of fuel (grams corresponding to tons of oil) indicates that it is a nuclear reaction and that it cannot be a chemical reaction. So what we are looking for is a model for transforming nuclei towards 56iron, without having strong radiation. This is often called the second miracle of cold fusion or LENR. The first miracle is how to make two nuclei fuse at low temperatures, since they are both positively charged and repel each other. This repelling is called the Coulomb Barrier, and according to known physics, a temperature of ten to a hundred million degrees is needed in order to make free nuclei move so fast that they can overcome this barrier (note however, that in LENR, nuclei are not free, but rather fixed in a lattice or possibly moving in a liquid). That is why hot fusion is so hard to achieve, and require billions of euros/dollars for building experimental reactors such as ITER. Let’s have a look at the proposed model which is extensively described in Piantelli’s patents EP2368252B1 (2013) and EP2702593B1 (2015). (The first was revoked in September 2015 after being challenged by Rossi’s company Leonardo Corp that basically claimed to have arrived at the same point before. However, the decision to revoke the patent has been appealed by Piantelli’s legal representative). 1. The first step is to expose a transition metal to hydrogen. Nickel is for various reasons the best choice of transition metal, but any transition metal should do. 2. Next step is to obtain H- ions, i.e. hydrogen atoms with one extra electron. To do this, Piantelli heats the system to a certain temperature and also uses a certain pressure to control formation of H+ and H- ions when splitting hydrogen molecules, H2. 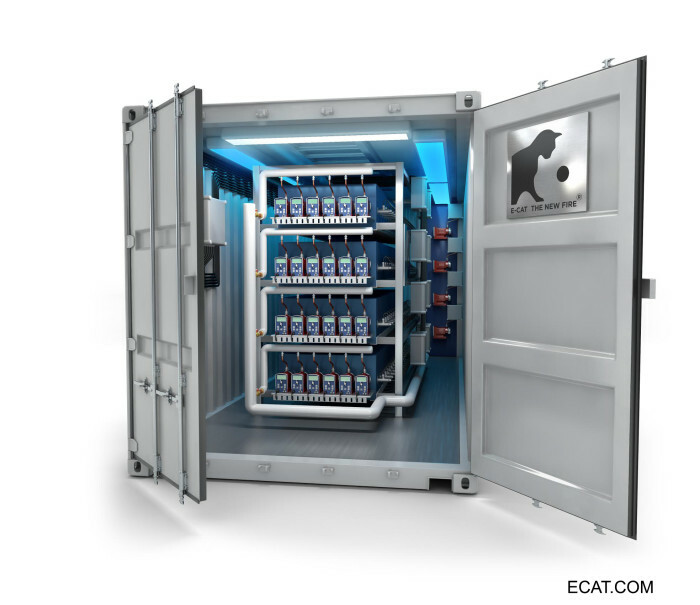 In the E-Cat, hydrogen is provided through lithium aluminium hydride, LAH, which when heated transforms into hydrogen gas, aluminium and LiH, the latter consisting of Li+ and H- ions, making it an effective source of H-. This invention by Rossi, described in his patent, should be one reason that he has managed to achieve much higher power yield from the process, but it should be noted that Rossi until the second generation E-Cat reactor—the Hot Cat in 2012—used hydrogen from a canister (and maybe had another method for generating H-, even without knowing it). Note: Some suggest that the H- concept might refer to a different form of hydrogen, akin to Randell Mills (CEO, founder of BLP) concept of hydrino, or Swedish researcher Leif Holmlid’s concept of ultra dense deuterium. 3. The system is now triggered in one of several ways ranging from thermal shock, mechanical impulse, and ultrasonic impulse to laser ray, electromagnetic fields, electric or magnetic pulse and particle beams. Before this step, the system is heated, in my understanding beyond the Debye temperature at which atoms are oscillating at the highest frequency in the lattice, and beyond which electric and thermal conductivity decreases significantly (the Debye temperature of nickel is +177°C). What the triggering essentially does is suddenly moving the conduction and the valence band of electrons. 4. This triggering leads to one of the electrons in the nickel atom being replaced by the H- ion (as described in the patent, this is in accordance with the Pauli exclusion principle and with the Heisenberg uncertainty principle). The shock affecting the levels of valence and conduction band is an important part in this capture process (see video below). 5. Since the H- ion has a mass that is almost 2,000 times larger than an electron mass, it tends towards orbits much closer to the nickel nucleus, while sending out Auger electrons and X-rays. In some way (to be explained in further detail), this is probably how the X-ray burst is produced that MFMP observed recently in a replication attempt of the E-Cat. One hypothesis is that this burst can be made to happen during pre-processing of the fuel (see video below). Such fuel, containing a meta-stable form of nickel with H- ions in one of the electron shells, could then be transported and introduced in reactors (especially if the nickel grains are covered and protected by LiH and Al). Then when the reaction starts, the burst will not occur. Only much less energetic X-rays (photons) will be released (when the H- ion is moving in smaller steps towards lower energy states in the electron shell?). 6. The low energy X-ray photons are being absorbed by a shielding material such as lead or tungsten, which is heated and then emits what is called black-body radiation—essentially infrared light or heat radiation which has a frequency of terahertz, possibly with the property of stimulating the process of replacing electrons by H- ions. Note: An hypothesis by Bob Greenyer is that one certain time interval of external triggering heats the shielding material enough for it to stimulate further reaction for five times that time interval, without external triggering (power input). This would lead to a COP (coefficient of performance = power out/power in) of 6, which Rossi has steadily claimed as a guaranteed minimum. a. If the distance to the nucleus is minor than 10-14 m, the H nucleus—i.e. a proton—can be captured by the nickel nucleus, resulting in one of several possible nuclear reactions (see the patent) with mass loss and great energy release, according to Piantelli resulting in heat. (Why isn’t the energy released as high energy gamma radiation? Maybe because the proton is so close to the nucleus that it gets captured, without having a large kinetic energy as in hot fusion. Maybe also because the nickel atom is not free but fixed in a lattice?). This process has certain similarities with muon-catalysed fusion, and would be an explanation to the first miracle—overcoming the Coulomb Barrier at modest temperatures by getting enough close to the nickel nucleus, disguised as a very heavy electron. (And maybe also an explanation to the second miracle—obtaining nuclear fusion without high energy radiation). b. (Maybe higher probability): If the distance is larger than 10-14 m, the proton is expelled from the metal atom through the repelling Coulomb force, with high kinetic energy (from 0 to 6.7 MeV) determined by Piantelli through calculation, and confirmed through cloud chamber experiments. NOTE: Piantelli has observed protons escaping from pre-processed nickel, well after the reaction has stopped. This indicates that the hypothesis in point (5) above could be valid—that pre-processed nickel with H- ions in the electron shells is meta-stable, and that protons get ejected once in a while. Not enough often, however, to keep a reaction, as described below, running. 8. These high energy protons can react with other atom nuclei, resulting in other nuclear reactions. Particularly, Piantelli proposes reaction with lithium or boron. Reactions with lithium yield alpha particles (which are nuclei of helium), and again, large amounts of energy, carried away as kinetic energy by the alpha particles (?). Such fusion between protons with much lower kinetic energy (225 eV) and lithium is described by Unified Gravity Corporation in patent application WO2014189799A9. Note: In his second patent, Piantelli proposed to have a second material, such as lithium, in front of the primary material, nickel, at a distance of about 7 cm. In order not to stop the protons, however, the surrounding pressure must be very low. 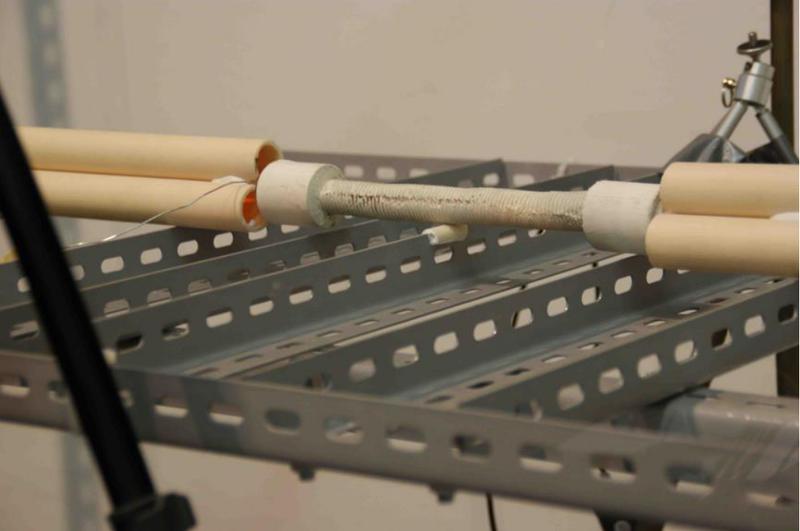 In the E-Cat, on the other hand, pure lithium is part of the fuel and in direct contact with the nickel. Therefore there’s no need for low pressure. Probably, though, a particular preparation of the fuel is necessary. The presence of lithium in the fuel, also described in Rossi’s patent, should be the second important invention by Rossi that leads to higher power yield. 9. The alpha particles get easily stopped, and grabs electrons to form helium, while also contributing to heat production when their kinetic energy is absorbed. They can also lead to further nuclear reactions with lithium. 10. The low energy X-ray radiation from (5) above could possibly be used to create electricity through the photoelectric effect, by exposing suitable materials to the X-ray radiation. The X-ray radiation could also be downshifted into visible light (with lower frequency), with the help of e.g. silver (Ag) or other elements with similar characteristics, which is possibly what Brilliant Light Power does in its ‘SunCell’. Both these effects could be in use in Rossi’s third generation reactor—the E-Cat X—supposedly producing heat, light and electricity. 11. A particular option, according to Piantelli’s second patent, is to use radioactive materials such as 232Th, 236U, 239U or 239Pu as secondary material. A part from producing energy, the process would then provide a possibility of a eliminating long-lived radioactive waste of various provenience, since the nuclear reactions would transform these elements through transmutation (a change of the number of protons) into other elements with shorter lifetime (half-life). Here’s a patent application by Piantelli on this method: WO2013046188A1. Update: Bob Greenyer elaborated this model already in September 2015 in this piece at E-Cat World. The comments below are also adding to the picture. Piantelli has obtained two patents based on this model, probably having significant experimental evidence for details in the patent. This would not be surprising since he has been doing extensive experimentation with this kind of process since 1989 when he first discovered a heat effect from nickel and hydrogen by coincidence, performing a biotech experiment. Piantelli also has a very advanced private lab. In the model of the E-Cat process, proposed by Norman Cook of Kansai University and Rossi, the process is initiated by a reaction between a proton and lithium. However, there’s no explanation as for where the protons come from. Point (7b) above could be one possible explanation. As far as I understand, MFMP and Bob Greenyer have a series of experimental indications that strongly support the theory described above. My understanding is also that the reaction paths described in Piantelli’s patents, precisely bring out the isotopic shifts observed both in the Lugano report, and in an earlier isotopic analysis performed on behalf of late Prof Sven Kullander on a sample of supposedly used E-Cat fuel provided by Rossi in February 2011. The result of the latter analysis was used by critics as a proof that there was no nuclear reaction in the E-Cat and that Rossi had faked the fuel sample. In a recent E-Cat replication attempt, MFMP observed a short high-count burst of low energy X-ray photons. According to an hypothesis by Bob Greenyer, there might be a way to pre-prepare the fuel in order to avoid this X-ray burst. One possible long-term outcome according to this reaction model, if nuclear reactions progress along long reaction paths, would be the formation of heavy and potentially radioactive elements. This might have been a concern in the recently concluded one-year 1MW test by Rossi and Industrial Heat, and a possible negative outcome, since it would make the technology much harder to certify and commercialise. Most probably, the the result of the ash analysis made by the third party institute (the ‘ERV’) is therefore crucial. Why using 62Nickel in the LENR reactor? 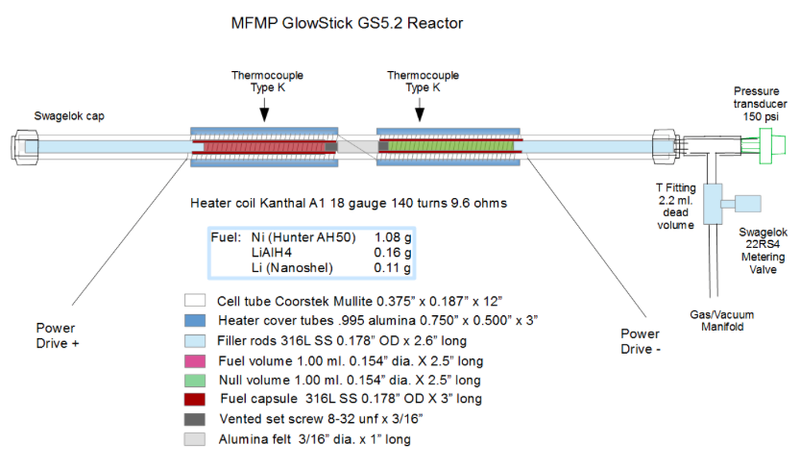 Schematic view of MFMP’s reactor, called ‘glowstick’. The ‘open science’ group, Martin Fleischmann Memorial Project, MFMP, that I mention at the end of my book An Impossible Invention, has announced that they have performed a true replication of the effect in Rossi’s energy device, the E-Cat. The group has also published a complete recipe of how to replicate the effect, adding a clear method for detecting a successful replication. Update: Here’s a video from MFMP discussing the result. Bob Greenyer, co-founder of the group, explained to me that the successful replication was based on all available information MFMP had got from from experienced LENR researchers Francesco Piantelli and Francesco Celani, and from the Russian scientist Alexander Parkhomov who also claims to have replicated Rossi’s effect, as well as openly shared information by Andrea Rossi himself. The main evidence for the effect in MFMP’s experiment is a combination of ‘excess heat’—i.e. thermal energy released from the reaction, beyond the input energy—and x-ray radiation—i.e. the same kind of low energy radiation used in medical radiography. Important is that the x-ray emissions were observed only together with excess heat. The character of the x-ray signal is, according to MFMP, the best way to detect that the replication is successful. The energy of the x-ray photons are between 0 and 300 keV (medical radiography typically uses x-rays between 5 and 150 keV), and there’s a brief but massive burst of x-rays when the reaction starts. This was observed also at the first semi-public demonstration of the E-Cat by Rossi in January 2011. The heat from Rossi’s devices supposedly comes directly from the reaction and from the low energy x-rays which are thermalised—turned into harmless heat—by shielding materials such as lead. The experiments by MFMP have been performed during the last three weeks, with a duration of about 20 hours of excess heat/x-rays on February 1-2. Everything is publicly documented at MFMP’s website Quantumheat.org, also the recipe, which essentially explains how to prepare the fuel consisting of nickel, lithium, hydrogen and aluminium, and how to run the experiment. The preparation is fairly complicated and probably requires significant practice to master. It must be underlined that attempts should only be undertaken by trained people and with all necessary safety measures in place. MFMP now plans to do follow-up experiments with the isotope Ni62 (an isotope is a special variety of any element, with the number indicating the number of nucleons in the atomic nucleus) which might enhance the effect. In the following months, we should also expect an increased activity of replication attempts all over the world, possibly leading to a broad confirmation of the effect in Rossi’s E-Cat. On the other hand, it can be noted that Rossi had this knowledge already some five or six years ago, and reasonably has been able to further develop the process since. During ICCF-17 in South Korea, shortly following the sad death of Dr. Martin Fleischmann, it became abundantly clear to a group of fresh attendees that the old approach to science, combined with the ostracisation of the great minds that had worked in the face of ridicule, was not delivering on the promise of of what we immediately called, “The New Fire”. It also was clear that there was something to investigate and we were morally bound to do it. We said that people would not believe, until they could experience it as if they were doing themselves and so the idea of Live Open Science was born. That was not enough, it had to be an effort that was free from commercial or government interests and that result and so it had to be conducted by the people, for the people. Our journey was made possible by the courage of Francesco Celani and we thank him profusely. Your donations played a critical role in realising this vision, but you know that, what we know you will want to hear is what we have to share tomorrow. You can see that there are steps in there that came about only because of activities that were made possible by donations. The critical visits to Piantelli and Parkhomov. Around the beginning of the month we saw what appeared to be up to a COP of 1.2, not earth shattering, but sustained and robust and in line with both observations by others and the Lugano report when adjusted for correct emissivity. Over the next weeks we tried various bookend calibrations which supported this finding. We are happy to tell you that we believe we have satisfied our condition 2, yet of course we’d like to replicate ourselves. Actually, though, it goes much further than that. What we will share is that the way in which we discovered it and the journey of analysis that makes it virtually impossible to say that Rossi does not have what he claims. It also shows that, whilst he may have been optimistic in how fast this would play out, he has been telling the truth, quite openly for years. Not only that, nature itself has been telling the same story and it told us too. By the 16/02/2016 we had given up trying to destroy the *GlowStick* 5.2, part of a long lineage of =Project Dog Bone= experiments. After the reactor was turned off, Alan shared the remainder of the data files from the NaI scintillator kindly donated by a project follower called Stephen (Thankyou Stephen, really). Project follower and open science legend, Ecco, first took a look at the data and found some anomalies – one SO striking that we thought there had been an equipment failure. We did not know the time that the anomalies occurred and had to wait until Alan woke to explain the time stamps so we could correlate it with the thermal and power data published live to HUGNet (Thankyou Ryan and Paul Hunt). To our extreme surprise, the onset of excess heat followed the massive anomaly in emissions and the minor anomalies were during and only during excess heat. It also showed us how replicators can know they have succeeded in triggering the New Fire and how to enhance the excess heat. Subsequent to this, we found out Rossi had travelled the same design journey and had publicly shared it in the past. In the past week we have been checking, cross checking to verify and this morning we cleared our last serious doubt, again live, with shared data. Because this is already in the open we want people to know so that they can start replicating based on what works, moreover, the insight will allow people to immediately start improving on our results. We lit the New Fire Together! Drawing of the 1MW plant. On February 17, 2016, a 350-day commercial test of a one megawatt heat plant based on Andrea Rossi’s E-Cat was completed. The event must be considered historic since it’s the first time an industrially useful amount of energy is produced over such a long time from this kind of yet unexplained radiation-free nuclear reaction—LENR or Low Energy Nuclear Reactions. To be clear, the report from the one-year trial, which has been controlled by a major independent third party certification institute, will be released only in about a month or two, and until then no official information is provided on the test result. However, multiple sources have told me that the test has been successful. Earlier, some sources having visited the test plant told me that the COP, Coefficient of Performance, i.e. the ratio between output power and input power for control, was in the range 20—80, meaning that the heat plant was consuming 12—50 kW while producing 1 MW—the average consumption of about 300 Western households, including electricity, space heating, water heating and air conditioning. I have also been told that the total amount of fuel—mostly harmless elements such as lithium, hydrogen and nickel, according to Andrea Rossi’s granted patent on the technology—was in the range of tens of grams. And supposedly the charge has never been changed during the year. On the other hand, after one year’s run, the reactors are now being recharged for further operation. All this might be confirmed by the third party institute, that has been controlling the heat plant 24/7 with video cameras. The test has been undertaken by Andrea Rossi and his US industrial partner Industrial Heat, and according to Rossi, commercialisation of similar industrial heat plants will be initiated as soon as possible, provided that the result is positive. Industrial Heat has acquired the right to produce and sell E-Cat based technology in, as far as I have been told, North, Central and South America, China, Russia, Saudi Arabia and the United Arab Emirates. 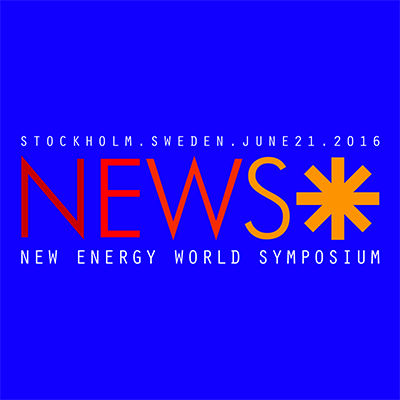 New Energy World Symposium, NewS. Needless to say, the consequences of such an energy source for the world will be huge. And the consequences for industry, finance and society is also the focus of the New Energy World Symposium or NewS, which will be held in Stockholm, Sweden, on June 21, 2016, provided that the report from the test is clearly positive. So, now we all wait for the report. Personally, however, I will put the champagne on ice. Now. Today I’m announcing the New Energy World Symposium that will hold its first session on June 21, 2016, in Stockholm Sweden. The conference will focus on the disruptive consequences of the new energy source—LENR or Cold Fusion—that is the topic of this website and of my book An Impossible Invention. I’m particularly proud to announce a few of the renowned speakers who together with me believe that it’s high time to draw global attention to this subject. Read more in this blog post at the symposium’s main website new-symposium.org, where you will also find further information. A few days ago I had a conversation with Rossi’s closest technician and engineer since 2012, Fulvio Fabiani, which I will report on here. Let me first make clear that the quite lengthy report has absolutely no value if you’re convinced that the E-Cat technology doesn’t work. At the most it will be anecdotic. People considering the E-Cat technology to be valid will, on the other hand, find some of Fabiani’s statements to be interesting. Fabiani, 48, was born and grew up in Rome, Italy. He had a great passion for information technology as a child and made his first video game at the age of 12. He studied electronics, electro technology and computer science, and for some years he made a military career as an officer in the Italian Military Force. 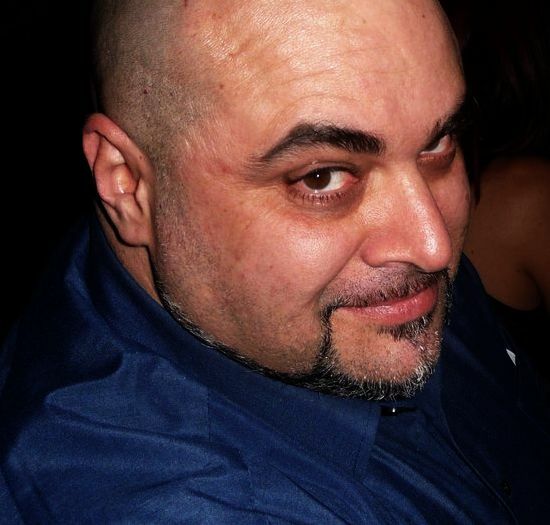 He also worked as a consultant for court cases regarding information technology, and as a system administrator at the Italian National Institute of Astrophysics before moving to the US, working for the airport security technology provider InVision Technologies. Later, he specialized in certification of circuit boards in gaming & gambling machines, which led him to working with communication technology between online gaming systems and bank systems, traveling across a series of countries in the ex Soviet Union for seven years. In 2012, a common friend introduced him to Rossi who was then looking for a person who could develop and improve the power supply system for the first version of the E-Cat, and Fabiani was invited to have a look at Rossi’s device. “I have to admit, and I always said this, that when I came there I didn’t believe it was working,” Fabiani told me. “As a skeptic I started there, and in the beginning Rossi wouldn’t let me see any data. Gradually he gained confidence since I solved a few problems. And after some time I found myself with the truth in my hands, having made some calculations, and I was amazed. I made the same calculations twenty times and I tried to find the error, but there was no error. “Now after seeing everything that Rossi is doing, and the levels at which we have arrived, there really is no error, but already at that time he saw things that ordinary people were not yet able to see. “Either you have seen this from the start, or you have to remain puzzled. If you’re skeptical, then until you have a 100 percent proof, until the hammer hits your finger, you won’t believe that your adversary has a hammer. “Many people play on this, and especially on the fact that Rossi has a rather closed character, as many geniuses. He is a genius who has an impressive way of reasoning. I sometimes find it difficult to follow him. You should see him when he arrives disheveled, shirt inside out, running around in the laboratory. He reminds you of the scientist from ‘Back to the Future’. “He comes with a paper fluttering, saying ‘Oh, I had this idea, we have to try this’, throwing away 15 days of your setup of a reactor because he wants to try something different, and you have not even finished the idea that he had previously. Rossi is an avalanche of great ideas. “He has an ability, not of imagination but of reasoning about physics that is impressive. I see him analyzing immense formulas of physical behavior of matter that leave me speechless, and sometimes he goes: ‘Look, they made a sign error here, how is that possible?’ Because he’s not reading the book. He’s analyzing it, hair by hair. He studies 24h because he analyses everything that others say, because they don’t convince him. He’s like that, also regarding what I say to him, even though he doesn’t know much about electrical engineering and electronics. But he looks it up. He questions the world itself. “With the failures, I found myself having to believe in it. Why? Because when something fails, you see the behavior of the object. The next time you adjust it, then you see that it behaves very differently. And then you realize that it is something unique. We have it all filmed, which still cannot be disclosed. We have photographs of creatures that emit pure light that have completely melted the reactor down, all in a very quiet way. You just turn off the stimuli system and the reaction is switched off. It’s impressive. “I can assure you that the shutdown of the reaction is immediate. The response at ignition with the certified technology is medium fast since we use this technology to produce steam. With steam, inertia when starting up is necessary because of the mass of water that becomes steam. But with ideas we have plans for everything, even instantaneous reactions. Now I’m working on many of Rossi’s new ideas including the E-CatX*, while also being responsible for power supply & control and maintenance on the long term test [of the 1 MW plant**]. “Rossi doesn’t like standard reasoning. He is not a linear researcher. I find myself arguing with Andrea because his views are not compatible with other points of view in a way so you can exchange information. I am lucky that after three years I now have a certain confidence, and this confidence allows me to do things in my own way regarding the power supply system, because what he thinks is not feasible for standard and linear technicians. I’m acting almost as an interpreter from his ideas to the standard world. “Rossi is the head and runs the R&D. I’m his right arm, his left arm and his legs too. We have staff, technicians who help us. Only R&D has about 12 people with me included. I’m the link between Rossi and the others for everything that regards R&D. I don’t have knowledge on the reaction because the formula is not my concern. When it is time, Rossi makes his mixtures according to his formulas, puts the charge in the cores and gives me the complete cores. A reactor is composed of a core, an excitation system, and a system for heat exchange. I look after the excitation system and the system for heat exchange, and also the physical realization of the core. But the core must be filled with the mixture of powders that Rossi from time to time recalibrates in function of the effect that he wants to achieve. “To be more precise I am bound by an agreement with Industrial Heat, and I’m available for Rossi to be his right arm. I cannot give any more details due to an NDA”. “I have really seen… Did you see Blade Runner? The quote at the end, ‘I’ve seen things you people wouldn’t believe’. It’s true. I assure you that I have seen things that only I, Rossi and a few other people saw. We really saw things… I really saw the new frontier of energy. There is nothing in comparison. You cannot imagine. I speak of the E-CatX* and many others of Rossi’s experiments. We have tried lots of things, and we have made some twenty and more different reactors. And I can assure you that with some of them we have truly seen a new world. Energy density, reaction capacity, in the sense of things never seen. The new frontier of energy. Mats: What will you do next year, after the end of the one-year trial? “Haha, I don’t know. The game is getting too big to be handled only by Rossi and me in person. It’s something that will change the face of the Earth, so … I don’t know. Since I’m not involved in anything related to the business development or the technology development at the industrial level, and since I don’t have any deeper knowledge on the direction in which things are going, I prefer not to say too much about it. “About 10 or 15 top level managers are involved—surely there is Rossi and Darden, but I don’t know them all well. Is not of my concern. I think it’s right to keep things compartmentalized to avoid information leaks. * E-Cat X is an experimental high-temperature reactor based on Andrea Rossi’s E-Cat technology, which supposedly would produce both heat and light. ** Since mid-February 2015, Rossi and his US industrial partner Industrial Heat are running a one-year commercial trial on a customer’s site with a heat plant producing 1 MW. The plant is made up of four 250kW modules, each based on E-Cat technology. Unless something unexpected happens, the trial, which is controlled by a major independent third party certification institute, should be concluded by February or March 2016, and the results should then be presented. 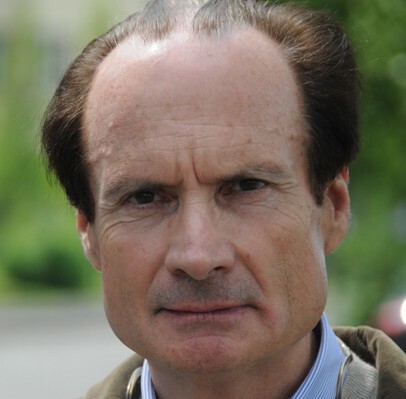 Note: Fulvio Fabiani has signed NDAs regarding E-Cat technology with several parties, which obviously limited what he could say in this interview.